Unfortunately, it is time for some sad news. Those of you that were looking forward to the releases of Tokyo Fish Attack and the Full Metal Alchemist Blu-Ray Movie Double Pack have now been delayed. Tokyo Fish Attack was due to be released this coming Monday, and the FMA Double Pack was due to be released on 3rd September. 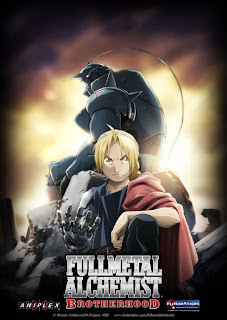 New dates for these releases have already been announced, with Tokyo Fish Attack now being released on 3rd September, and the Blu-Ray Full Metal Alchemist movies are due to be released in 'December'. 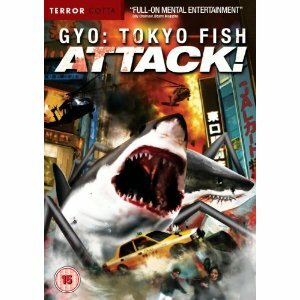 Tokyo Fish Attack is based on the manga by Junji Ito. As you may have guessed by the title and cover, the sea is inhabited by Sharks with metal legs who then take to the land, specifically Tokyo, to attack Japan. It's in fact very complicated in this busy life to listen news on TV, thus I simply use world wide web for that reason, and take the newest information. and my pal Tammara are preparing to do a little research on car rental specials atlanta. article. I'm really glad to see this great facts being provided freely in the net. Hello there, neat publish on priceline car rental bidding techniques. I found a problem with the site in IE, can you take a look at this. I don't know quite a lot regarding it change management software, so my mate Fredrick with whom I am on the job together at this moment on something related to this subject mentioned to check out your blog post and acquire some extra information. He was utterly right, your post provided a substantially better understanding of the subject. blog popped up. It looks great. I bookmarked it in my social bookmarking. become somewhat boring. I miss your very own tremendous writing. Last several posts are a little bit off track! May happen! you featured the important knowledge. Remember to keep us up to date. I am genuinely delighted to glance at this webpage posts which consists of tons of useful facts, thanks for providing these statistics.